McAfee said attackers shared cryptocurrency suggestions and made them look his own tips, which he regularly tweeted to his followers. When replies on Twitter prompted him to turn on the service’s native two-factor authentication, he showed evidence of his phone being allegedly hacked, and the 2FA code intercepted by the hackers. 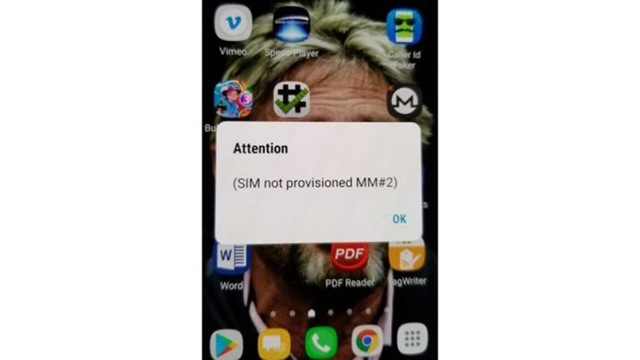 While McAfee earned fame for his role in McAfee’s successful antivirus and computer security company, he is also notoriously flaky and is known to have been involved in more than one confrontation with law enforcement. So it’s not as if he’s an unlikely target for hackers. Currently, he’s involved with a bitcoin mining company, and was tweeting “Coin of the Day” tips to his followers on a regular basis. This was also the focus of the alleged hack on his account. The hacked tweets started sharing cryptocurrency suggestions and then McAfee had to announce that he wouldn’t be doing these posts any longer. According to BBC News, McAfee’s coin recommendations often led to spikes in value for those assets, which explains one possible reason behind the hack. The tweets for these ‘rogue coins’ have since been deleted, and McAfee alerted his followers about the hack as well. As of now, no group or individual has taken responsibility for the hack. One speculation is it is the work of bots looking to drive specific cryptocurrency values up or down. In case you are not familiar with this concept, two-factor authentication requires a person to enter a code sent to a mobile phone in addition to the password to access an account. McAfee believes the hacker intercepted the code for his login, which would be surprising and a bigger breach of security than a Twitter account being hacked. He also added that he had since then removed two-factor authentication from all of his accounts as a precaution. Whether McAfee is acting famously paranoid or whether indeed he is the target of attackers, we will find out more in the next few days. Till then let us know what security measures you use to protect your social media accounts.